All brides would like to look their best on their wedding day. This is precisely the reason why they go on diets, visit the spa, have hair treatments and do other things prior to the wedding to make them look their most radiant on their big day. One of the biggest factors to looking your best as a bride is selecting the perfect wedding dress and pairing it with a suitable hairstyle. In most cases, brides say that they intuitively know when they've found the perfect wedding dress. The cut of the dress should first clue you in as to which bridal hairstyle would suit your best. 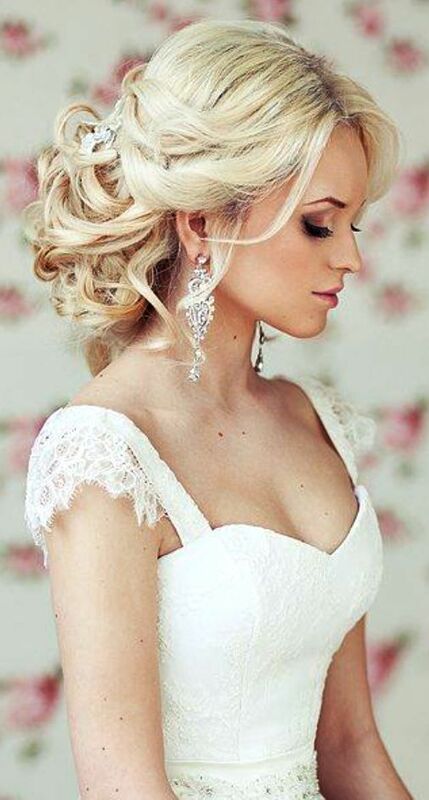 If you are wearing a bridal gown with a strapless bodice, you will show off its cut by wearing an elegant updo. 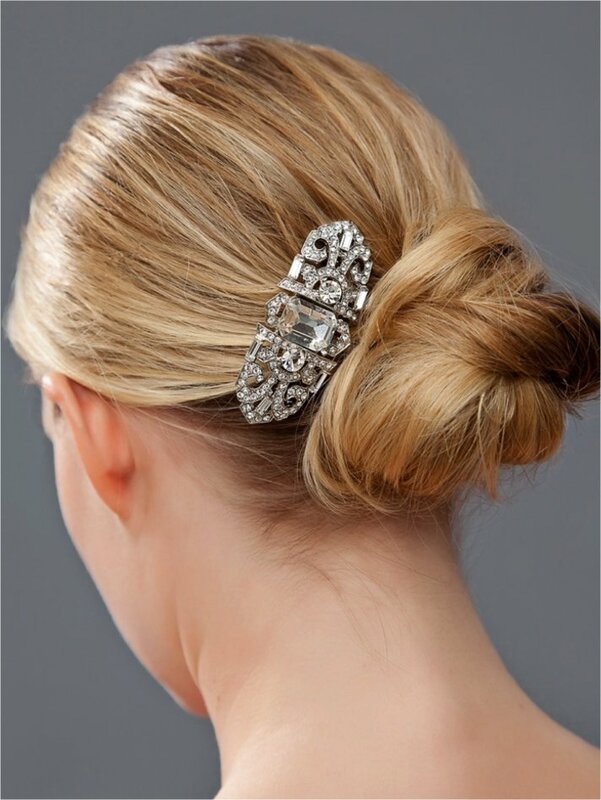 However, you can still wear your hair down as long as it is styled elegantly. For those who are wearing gowns with short or long sleeves or a particular neckline, there are also hairstyles for brides which can be worn to showcase the cut of the dress. Aside from the cut of the dress, another factor that you need to take into consideration when deciding which hairstyle to wear is the length of your locks. If you have short hair, you can have it styled in a contemporary manner as it highlights the bridal jewelry or accessories which you are planning to wear. If you have long hair, then there are plenty of romantic hairstyles that will suit you. You can basically wear them in a stick-straight style or with romantic curls, as well as in sleek updos or loose, flowing hairstyles. First, let's compare stick-straight hairstyles with romantic curls. If you have always worn your hair in its curly, natural state and you would like to look different on your wedding day, you can have your long hair straightened out temporarily. By taming your curls, the frame of your face and the elegant cut of your dress will be highlighted. 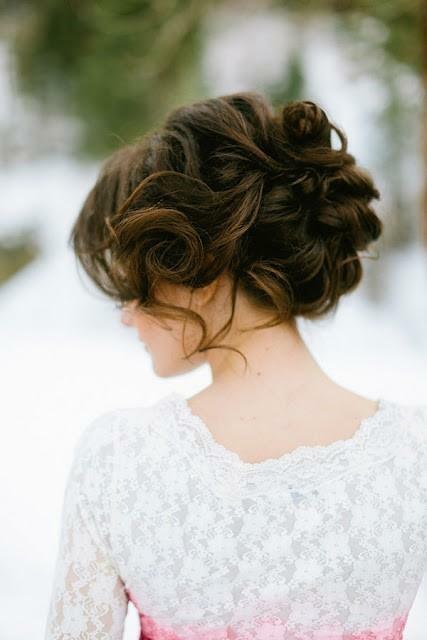 Meanwhile, romantic curls have always been a favorite hairstyle option for both brides and their bridesmaids. Whether you are planning to hold the wedding reception in a formal evening affair or as a charming daytime event, you can use a romantic, curly hairstyle which perfectly suits the occasion. When making a selection between the two, just make sure to consider the natural texture of your hair and talk with your stylist about whether a particular hairstyle would work for your locks. Sleek Updos or Loose Hairstyles? Next, how do you take your pick from sleek updos or loose hairstyles? Again, the factors that you need to consider include the time of the day that the wedding will be held; the season of the year; the theme of your wedding; the cut of your dress; and the length of your hair. The good news is that if you always wear your hair long, you can easily transform your locks into a sleek updo or a loose, flowing hairstyle. A final tip to keep in mind is that you should always have a practice session with your stylist days prior to the wedding. By doing so, you can make certain adjustments with your hairstyle in case your initial choice does not look as good as you imagined it would when paired with your gown and bridal accessories.